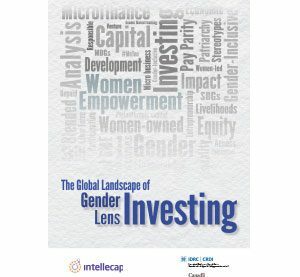 This report presents the global landscape of gender lens investing and examines the strategies used by gender lens investors across the globe. In doing so, it also examines ways in which businesses promote social and economic empowerment of women and correlates investment strategies to them. The report studies patterns and draws insights about the evolution of the gender lens investing strategies, the financial instruments used in adopting them and regions where they are implemented. It also highlights the challenges gender lens investors face in emerging geographies both in terms of raising capital and accessing an investible pipeline for the adoption of this strategy. It is notable that almost 70% of the funds using this strategy were seeded by women investors and/or raised funds from women. The report concludes with a discussion on the various aspects that need to be considered for promoting gender lens investing – especially in developing countries.